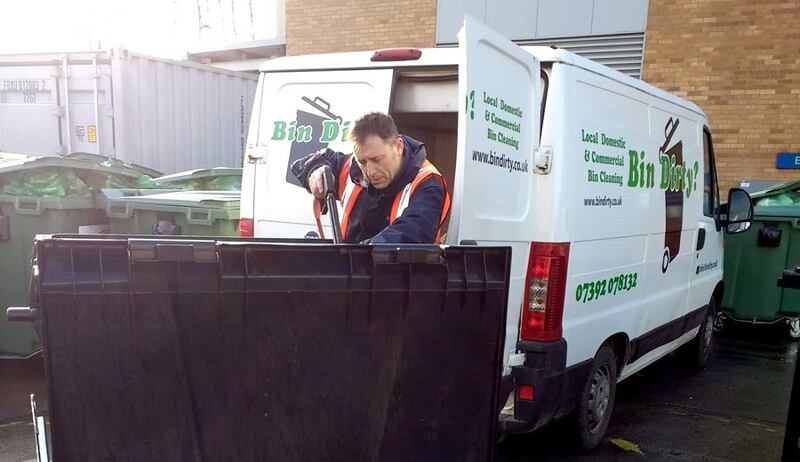 Wheelie Bin Cleaning Norwich, Norfolk | Bin Dirty ? Let us keep your wheelie bin Clean, Disinfected and Deodorised! We are fully insured and approved by Anglian Water with an Anglian Water Consent to Discharge Trade Effluent. Our wheelie bin cleaning unit captures and re-uses approx. four hundred litres of water. Onboard filters recycle the water during the day and it is then disposed of at our Anglian Water Approved site. 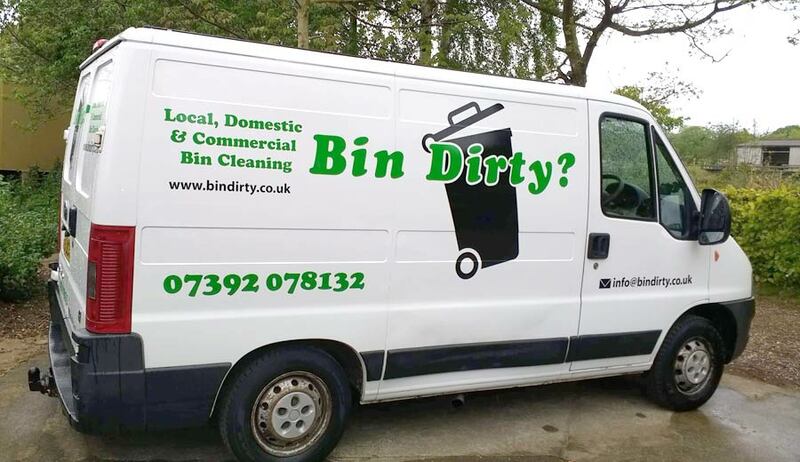 There is no mess and no fuss – just Professional on-site Wheelie bin Cleaning, from as little as £5 a month, based on a minimum of 6 consecutive cleans. 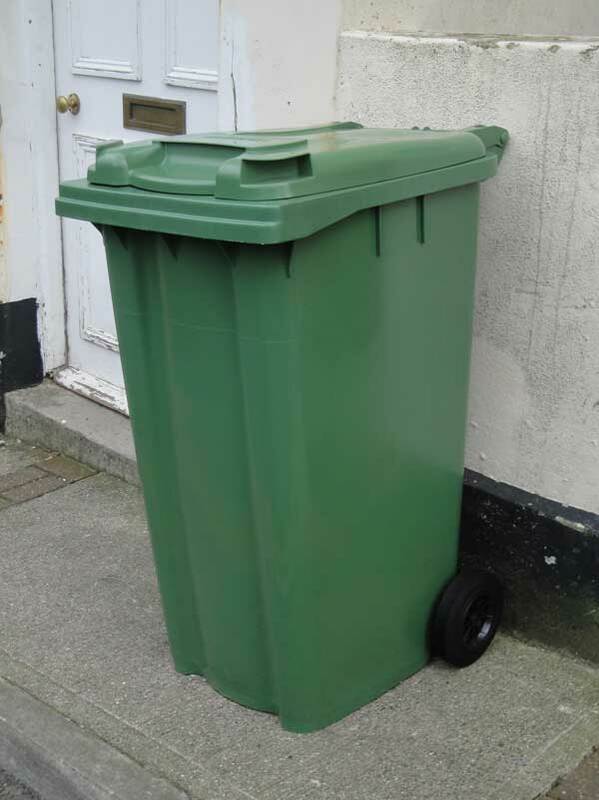 We can provide a one-off wheelie bin clean outside of the 4-weekly cycle at a cost of £15. Your whole wheelie bin is lifted into our cleaning unit, where the entire wheelie bin is cleaned, inside and out. Using our purpose built cleaning unit, we wash, disinfect and deodorise your commercial wheelie bin on-site. To start your wheelie bin cleaning service, simply complete our contact form giving your address and collection day.